Steel and metal mesh gloves offer the highest level of cut protection. These gloves are made of corrosion resistant steel or metal rings that are individually welded for strength, durability, and flexibility. 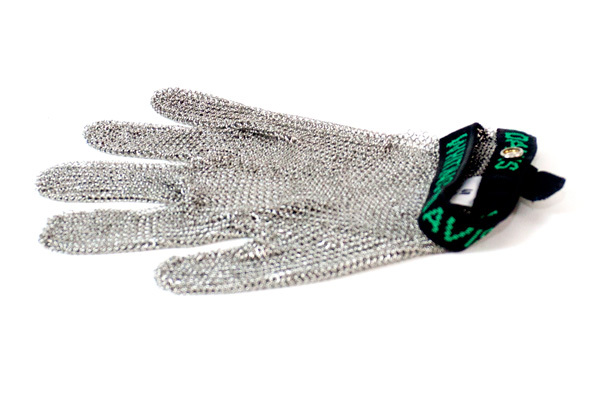 Steel and metal mesh gloves resist bacterial growth and can be easily sanitized or cleaned with hot water and soap. 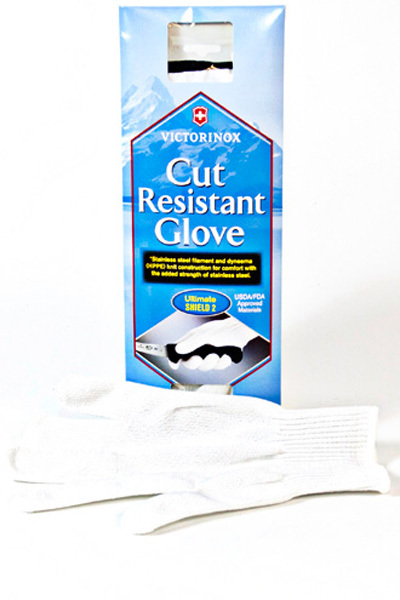 These easy to clean gloves provide maximum comfort with a high level of protection while working with knives and other sharp objects. These gloves are comprised of encapsulated stainless steel and polyester filament yarn for the highest protection and ultimate comfort. Material is bleach safe and washable. 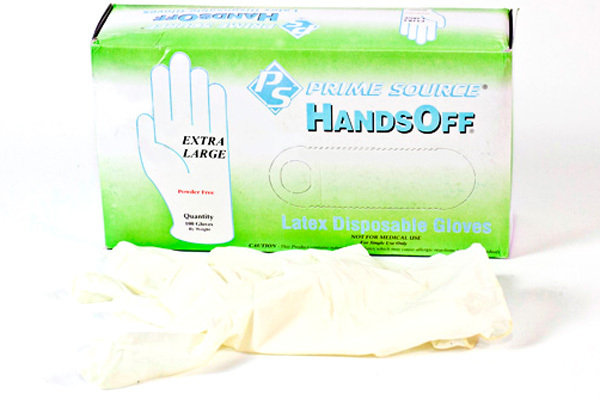 These quality single-use gloves provide sanitary protection while handling meats and other food products. These white, powder-free gloves are extra thick (5-mil) and can be used by right-handed or left-handed individuals. These gloves come in a handy dispenser box for easy access. Note: Natural rubber latex may cause minor allergic reactions in some individuals. 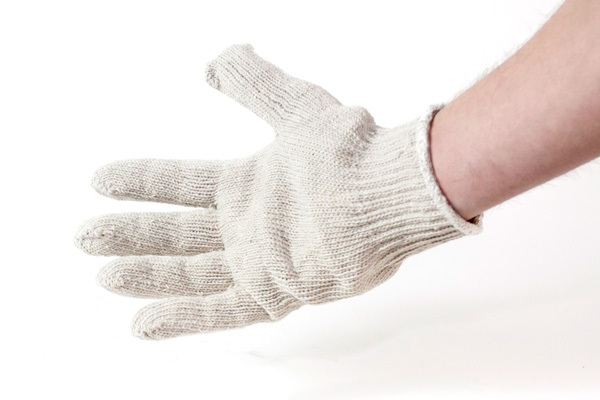 Cotton gloves are perfect for keeping hands warm while handling or cutting meat in colder environments. The cotton material provides a slip resistant surface while holding meat. These gloves are one size fits all.